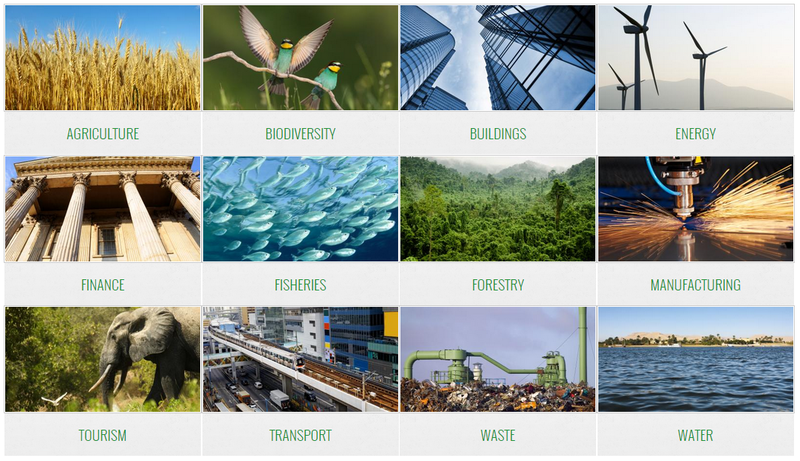 What is Cambodia Green Growth Knowledge Portal? The Cambodia GGKP is a localized version of the global Green Growth Knowledge Platform. This knowledge portal shares the same goals with the global GGKP but offers local content in local language to provide development practitioners in Cambodia with a resource to explore, evaluate, synthesize, and learn about green growth related topics. Green growth means fostering economic growth and development while ensuring that natural assets continue to provide the resources and environmental services on which our well-being relies. It focuses on the synergies and trade-offs between the environmental and economic pillars of sustainable development. In other words, green growth discards the traditional convention of "grow first, clean up later" and discourages investment decisions that entrench communities and countries in environmentally damaging, carbon-intensive systems. Rather, it seeks to spur investment and innovation in ways that give rise to new, more sustainable sources of growth and development. Importantly, green growth does not neglect the social pillar; on the contrary, without good governance, transparency, and equity, no transformative growth strategy can succeed. Moreover, there is no one-size-fits-all strategy for implementing green growth; rather, specific policies and actions need to respond to national priorities and circumstances. The portal is under construction. The institute is requesting for technical and financial supports to create more content and keep the portal running.